CDG is a nightmare for connections. We had to queue for passport control we had to queue for security check. No one listened to us as we explained we had a tight connection time. Our names were announced for final boarding but that didn´t interest anyone. We finally made it to the plane running like mad. And then - onboard - we had to wait again until the luggage of those passengers who didn´t make it in time was unloaded. 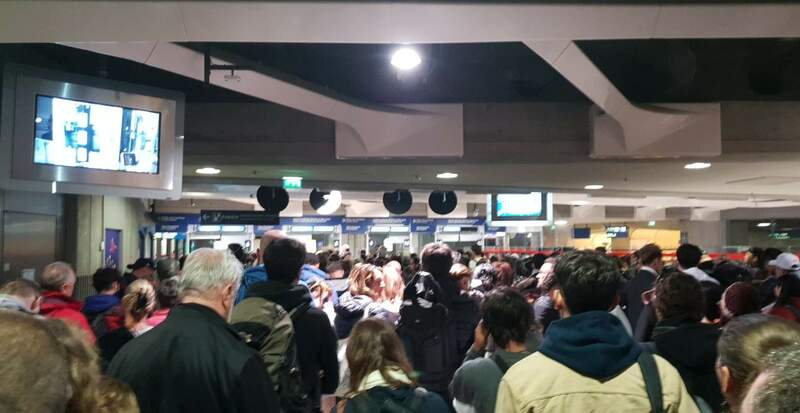 Avoid CDG if you can! I can only agree with what everyone else has written. Terrible layout of the airport so illogical it's absurd. I was going from Stockholm to Delhi via CDG. Due to my flight got cancelled I had to spend the night in France. That of course had nothing to do with the airport. I had no clue which way I took from the Air France customer desk to the bus which was going to take me to the hotel. And even then while waiting for the bus who took a good 40 minutes to arrive I still didn't know if I was in the right place. I work in an airport so I have a pretty good understanding how things work at airports and can manage my way pretty well everywhere I've been. Except from CDG. Sadly I will have to travel via CDG once more since AF gave me a 500 euro voucher due to the delay I experienced. The staff in the airport staff was pretty friendly and helpful towards me so I have no complaints there. 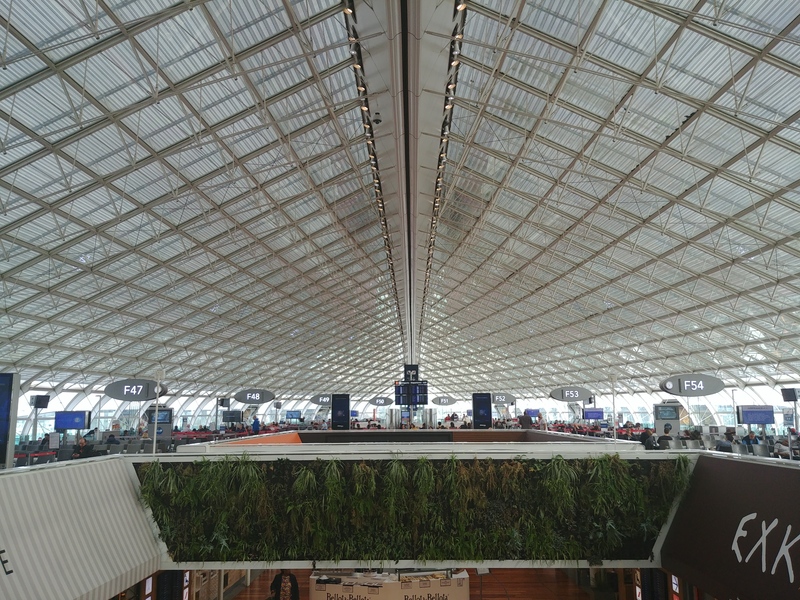 If you have to travel thru CDG like many others have said make sure you have a lot of time for your connection. Quite a mess at arrival with AF at terminal 2G. No airbridges available so had to take busses to the terminal. Overall unclear layout of CDG2. Staff everything between friendly and rude depends heavily on how you approach them. Departure a day later also quite disorganised as long queues at security. I believe that ADP could do a better job together with AF as their main customer. Having lived in Paris for quite a while I never really understood how such a great city deserves such an airport. Was informed that matter is rather driven by politics than by business therefore I have little hope for the future. Absolutely absurd security screening delays and redundancy. 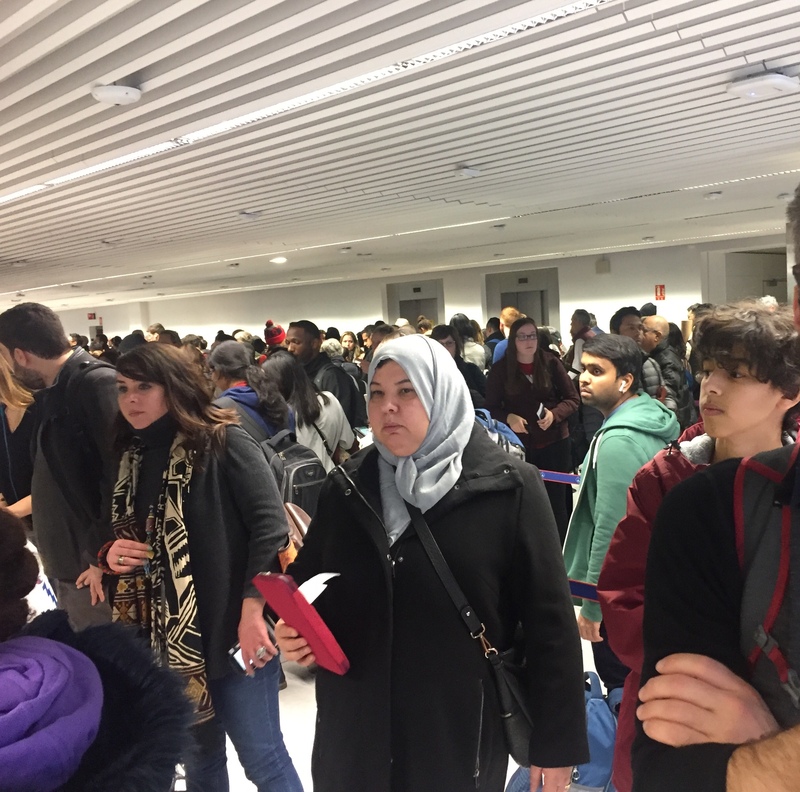 I have passed through CDG four times in the past 45 days and had the connection flight airplane close the door behind me as I entered because of the absurd delay caused by the French in the name of security checks which is completely redundant. Checking a passport 5 times by different people at different areas checking boarding passes 6 times at different areas and the horrendous lines at the main screening point! Just maddening. Upon arriving terminal 2G we were out of the airport and on the shuttle bus within 10 minutes of landing. Leaving 2G was just as easy - no check in line no screening lines and a relaxed lounge atmosphere nice furniture complete with day beds and information screens. I agree that CDG's international terminals are a nightmare. Terminal 2E. Spacious and open feel. Connection between the 2 different sections of 2E was easy on a short train ride. The biggest disappointment was no decent restaurant! Only a food court selling overpriced food of poor quality and small portions. The only reason I ate there was I had an Air France voucher due to a missed connection. I asked an AF representative for a recommendation of a good restaurant and he said I would have to go to 2F which would mean passing through time consuming security check points. Impractical with long corridors (very long transfer from terminal 3 to terminal 2F) strange layout hard to find the way little services too little waiting space etc. Also famous for losing luggage. And: the airport has it own dedicated beggars and homeless people. 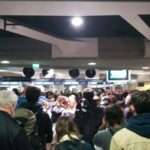 Paris CDG is one of the worst airports. Noisy dirty and staff unpleasant. Queuing is here a way of life 45 min-1 hour for the passport control with some instances of outright rudeness 45 min to get your luggage if you are lucky. 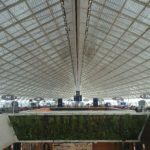 Paris CDG is an incredible non human being airport and a shame for the French people. Considering the French are famous for their food Terminal 2E (transit from intercontinental to European flight) offers very few culinary delights. Food court contains four bland looking restaurants that weren't open at 9am the day we visited leaving only Laduree some rubbishy looking modern takeaway shop (a coke for 4.90EUR?) and a small similarly overpriced coffee bar for refreshments. The shops seem to veer towards the high end (one can buy a Hermes bag but not a decent cup of coffee) with the exception of the excellent La Maison du Chocolat perhaps the only shop selling any gifts under 50EUR. To get from one part of the terminal to another you need to brave a half an hour bus ride that you need to factor into your connection. Seating is okay but it was bitterly cold inside. Signposting is indeed very haphazard but if you know where you are going then there is little in the way of unnecessary bureaucracy - only one security check which had many lanes and went very quickly manned by friendly staff who could also speak English. Staff helpful but navigation of airport a complete nightmare. Had to get from 2Fto 2E to check in - this involved going down in a lift which had no information on it as to where 2E was. We had to ask at the desk - along a very long corridor and up a lift back to the 2nd floor and along another very long corridor with all our luggage - no joke for my parents! !